Aluminium lubrication and surface treatment technologies. 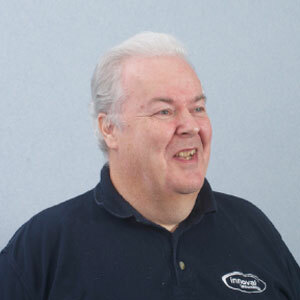 Chris has over 30 years’ experience in aluminium process lubrication and surface treatment technologies. Chris works as part of our Process Improvement and Materials Development teams. His expertise covers both rolling lubrication and the surface chemistry of aluminium alloys. He’s worked on a huge range of aluminium products including foil stock, aluminium packaging, building products, automotive products and heat exchangers. He also specialises in beverage can materials and can plant auditing/monitoring. Chris is skilled in a range of analytical techniques and often finds himself involved in complex troubleshooting activities. When he’s not working Chris enjoys photography, sport and music and often attends live football, cricket, motorsport and concert events.